If you’ve ever watched an MMA event you’ve probably seen at least half a dozen different Venum shorts and walk out shirts. Just off the top of my head I can name close to 30 different UFC fighters that are sponsored by Venum. Guys like Jose Aldo, Carlos Condit, Wanderlei Silva and Jim Miller all use Venum gear in their fights. Venum also has a line BJJ gis that include single weave and gold weave models. 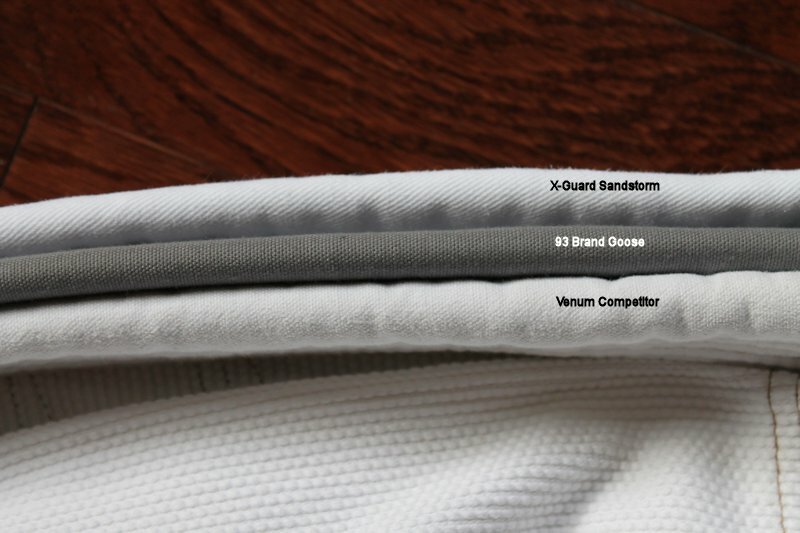 The good folks over at MAS sent Venum’s Competitor gi to me for a review. The Competitor is a single weave gi is comes in white, blue and black. It is available in the traditional sizes as well as A1.5 and A2.5 and is modeled by none other than Rodolfo Vieira himself. The Competitor jacket is made of a lightweight single weave. 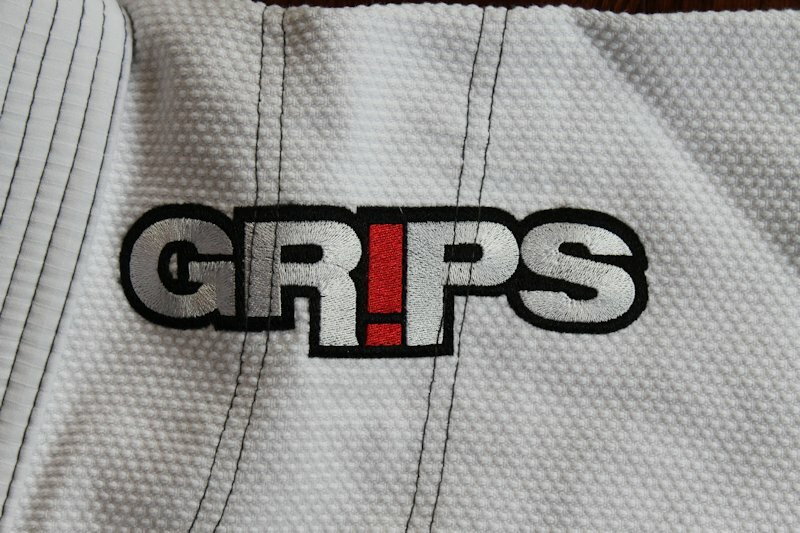 The white gi has green contrast stitching and is reinforced at the stress points. There is extra reinforcement at the armpits and the slits at the sides of the skirt. The skirt slits are lined in yellow canvas as an additional design element. There is some overstitching on the gi but the seams are all tight and uniform. The insides of the cuffs are lined with satin tape for extra comfort. The collar of the jacket is foam-filled, has good thickness and is a little more flexible than most of the other collars I have used. The pants are made of canvas and have the same green contrast stitching as the jacket. There are 6 yellow belt loops and a green flat cord drawstring. There is triple stitching at the stress points, a canvas gusset and 5 rows of stitching on the cuffs of the pants. 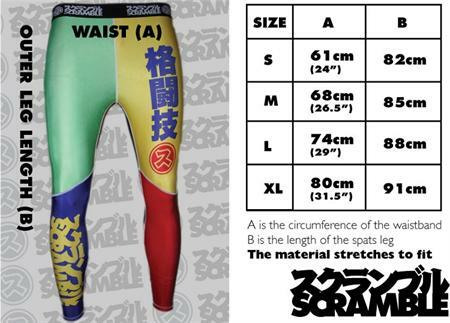 There is reinforcement at the slits on the sides of the pants. The pants have knee reinforcements but they’re pretty small, only 11” long, and doesn’t extend down very far, ending 14” from the cuff. The jacket’s shoulders have identical patches on them. The patches are 2.5” x 10”. They complement the color scheme of the gi and have model/brand specific logos on them. Removing these patches may be difficult, one end of the patch is under the seam of the collar. The word “Jiu Jitsu” is embroidered vertically in a heavily stylized cursive just to the side of the lapel on the left chest. There is the ever-present patch at the bottom of the lapel identifying the brand and size. Another piece of embroidery on the front of the jacket is the Venum snakehead logo on the left side of the skirt near the slit. The logo is in black thread and roughly 2” square. The final piece of embroidery on the jacket is on the upper back. The word “VENUM” is embroidered prominently between the shoulder blades. The logo is approximately 3.5” x 10”. All of the embroidery is well done and there were no apparent loose threads or defects. The final piece of embellishment on the gi is actually inside of it. There is a section of lining under the collar, 8” x 14”, and it features Venum’s snakehead logo. The gis inside collar patch is stitched onto this patch. As mentioned before the pants have 6 yellow belt loops and a green flat cord drawstring. There are 3 patches and 2 different spots of embroidery. There are identical patches on each upper outer thigh immediately below the side slit. They are 2.5” x 10” and have the Venum logo and model specific branding. They match the patches on the shoulders of the jacket. There is also a small patch on the upper left thigh just below the belt loops that has the Venum logo, the size and some branding. These patches could be easily removed with a stitch ripper. The embroidery on the pants is limited to just 2 separate designs. The first is “COMPETITOR” written in all capital letters in a block font. This design is pretty small, 0.375” x 2.875” and is located on the right leg about 6 inches from the bottom. The other piece of embroidery is the Venum snakehead logo on the left leg. The logo is identical to the one on the bottom left of the jacket. Both pieces of embroidery are well done and had no apparent loose threads or defects. Since I’m in the middle of reviewing a few of gis I had one of my training partners help me with this portion of the review. The shrinkage listed above is from multiple washings on cold and being dried on low twice. My training partner typically rolls in either a Submission FC light or a Breakpoint Deluxe. Before rolling he mentioned that it seemed a lot softer than his other gis and during our follow up he said that it was so comfortable to wear that he forgot that he was even wearing the jacket at times. There was a little fraying on the outside of a few the patches on the legs but nothing that affected the integrity of the seam. The cut and fit of the A4 is well suited to someone that is 6’2” to 5’10” in the 200lb to 230lb range with a solid build. The guy in the pictures is 6’2” and 205lb. If you’re much taller than that and/or lanky this may not be the ideal fit for you. On the bling scale of 1 to 5, this comes in at a solid 4. Not quite as flashy as the Breakpoint FC Deluxe but with enough embroidery and patches to feel pimped out while rolling at the gym. 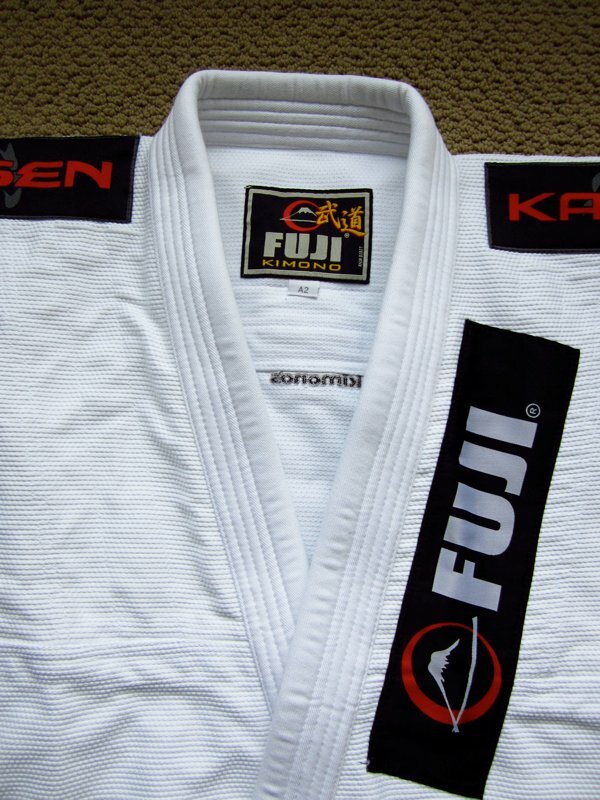 The gi itself is also very soft and comfortable so that you can roll in both comfort and style. The Venum Competitor is available for $149.99 from MAS (with free 2-day shipping at the moment) and I’ve also seen it priced at a significant discount at BJJHQ in the last month or so. That price puts it right in-line with the other bling gis that are currently around. If you’re a fan of Venum but want something a little less pimped out you may want to look at the Challenger gi for $119.99.